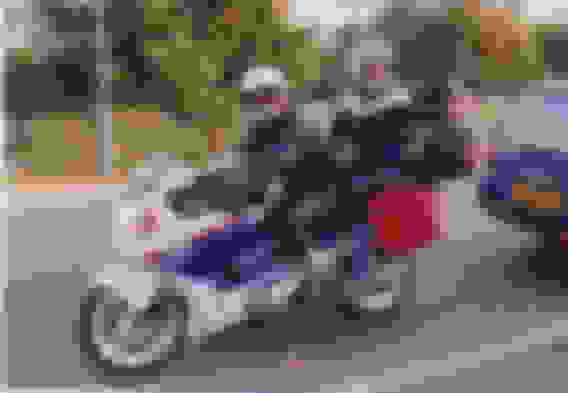 Originally from Somerset UK, I had bikes from age 16 through to my early 20's FSIE, Benelli 250, Suzuki GT550 and Suzuki GS750, sold the GS and bought a car and got married which lasted about 4 years. After the failed marriage I bought my first CBR1000F, a new red and white 1987 model affectionately known as the 'Plastic Pig' and loved it, what an awesome bike, in mid 87 I traveled to the South of France on it with a bunch of mates, we traveled cross country ending up in Frejus and I loved every minute of it, I also met someone on the trip who would become my second wife. In 93 a severe downturn in work meant the CBR was sold to pay off a VAT bill and that was the end of my riding , life seemed to move in a different direction and we got into classic cars (another story). 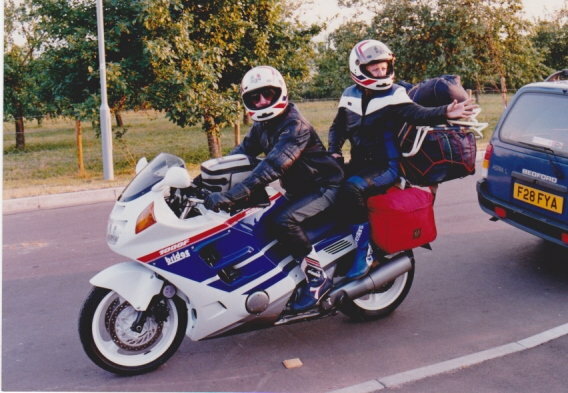 In 1999 we emigrated to Perth Western Australia and to be honest life here has been pretty good to us, we are still into our classic cars but still hankered after touring Europe on a big bike. Well here is the next step in our life, I am fast approaching 60 and my wife suddenly says "its your birthday soon I think we should buy an old CBR, take it to Europe and go touring again" well I can tell you now she didn't have to say it twice, I was straight on to Gumtree and Bike Sales looking for a CBR. After a couple of weeks I could not find anything in Australia that looked in really good condition so we started looking in the UK, we found a couple of red and white ones in dealers that looked good but were a bit pricey then found a blue and white one identical to the one we had, I called the guy up and after a long chat I bought it there and then unseen apart from photos, I guess there is a fair amount of trust involved but from talking to the owner I got good vibes. So our plan is to return to the UK late August, collect the bike and head off to Europe for 4 weeks on our new 1989 CBR thou, in the meantime I will need to arrange get the bike to a shop, checked over and ready for the trip. Our plan is to import the bike to Australia after the trip and it will become my next restoration project. It certainly will be a new chapter in our lives and looking forward to the trip, we are busy collecting gear at the moment, I can't believe how thing have changed, used be just a set of leathers now its mainly textiles with Kevlar everywhere, Goretex linings, removable warm liners and waterproof linings, how things have changed in 30 years...! Welcome to the forum, both of you! Please take some pictures of your trip and post them in the Hurricane section 'Road Trips'. Last edited by TimBucTwo; 04-16-2019 at 01:31 PM.